Nasa’s Spitzer Space Telescope has spotted a nebula known as “The Spider” – located some 10,000 light-years from Earth in the constellation Auriga – which is clearly a site of active star formation. The Spider, officially named IC 417, lies near a much smaller object called NGC 1931. Together, the two are called “The Spider and the Fly” nebulae. 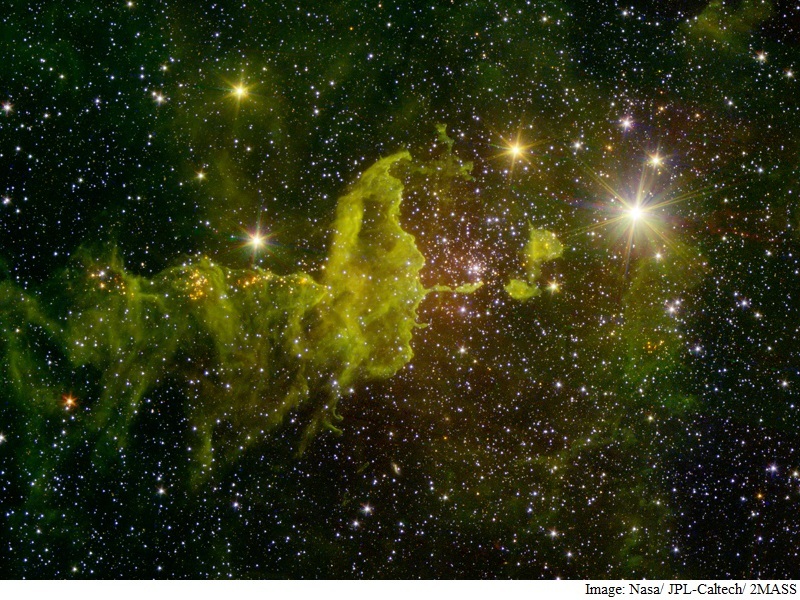 Nebulae are clouds of interstellar gas and dust where stars can form. The Spider resides in the outer part of the Milky Way, almost exactly in the opposite direction from the galactic centre, the US space agency said in a statement. The light from this cluster carves out a bowl in the nearby dust clouds. A group of students, teachers and scientists focused their attention on this region as part of the Nasa/IPAC Teacher Archive Research Program (NITARP) in 2015. They worked on identifying new stars in this area. The mission is a joint effort between the California Institute of Technology, Pasadena, the University of Massachusetts, Amherst and Nasa’s Jet Propulsion Laboratory, Pasadena, California.